Yes! We all know the fun and embarrassment it can bring upon us so it might be wise, smart or ideal to turn it off. And that is actually pretty easy. Just go to System Preferences > Language & Text and select the Text tab where you have the option to turn it off. After all, you wouldn’t want to end up on Damn You Auto Correct or the Lying Lion would you now? You’ll need to know your screen resolution, so check it in the System Preferences>Displays panel. For example, my 30″ LCD has a 2560×1600 resolution, so if I want a nice clear image, that’s the size it’ll need to be. Choose an image you want to use for your Mission Control background to replace Apple’s gray linen backdrop and save it as a .PNG image named defaultdesktop.png. Choose a different image you wish to have as your background in Dashboard to replace the ugly lego-style turd that Apple chose and save it as a .PNG image named pirelli.png. A third image is used as the background of the Dashboard preview icon at the top left of the Mission Control Window – it is basically a cropped version of the pirelli image you just saved. I chose to crop the image myself so it was more recognizable, but you certainly don’t have to if you don’t care to. If you do choose to do this, save the third file as a .PNG image named mini_pirelli.png. Place all three images on your desktop for easy access. In the Finder, navigate to Macintosh HD/System/Library/CoreServices and find the Dock application inside. Right-click the Dock.app and select Show Package Contents. Open the Contents folder that appears, then open the Resources folder. In the resources folder, scroll down and find the three file names I previously mentioned. While holding the Option key down, drag them to your Documents folder (or somewhere other than the Desktop) to serve as a backup. Now drag the defaultdesktop.png, pirelli.png and mini_pirelli.png files you created earlier into the Resources folder. You will be asked if you wish to keep both images, or replace them. Obviously, choose replace. You’ll most likely also be asked to authenticate with your user account password. The last step is to open the Terminal application found in your utilities folder. Once the Terminal window appears, type killall Dock and hit return. You should be able to see the results immediately in Mission Control and Dashboard. Experimenting with different images is kind of fun, but ultimately I ended up using a fairly bland charcoal black backdrop (the same one I use as my standard desktop wallpaper) in Dashboard. Surprisingly, I went back to using the Apple-provided gray linen backdrop for Mission Control. It should also be noted that it is most likely that OS updates will overwrite these files, so you’ll probably have to do this after each one. Thankfully that’s only once or twice a year. Mac OS Lion: Western Digital updates hard drives for Lion compatibility. 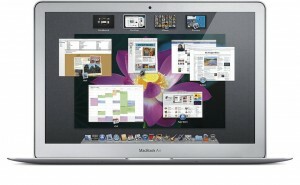 First reports of compatibility fixes for Apple’s new operating system—Mac OS X Lion—had to do with apps. Now we’re hearing hard drives are getting the fixes. And none too soon. According to 9to5Mac.com, Western Digital released a Firmware update for the My Book Live series of hard drives, making it compatible with OS X Lion and Time Machine. Kudos to Western Digital for a fairly quick fix to what was a major problem for many of their customers. Let us know if you we’re using one of these hard drives. Mac OS Lion: The easy way to make a bootable install disk. By now you’ve probably heard that Apple will be selling a Lion thumb drive option later this fall…for an upcharge. And making your own bootable disk was a little to complex for the average Joe. Well, no more. CultOfMac.com shares and easy way to make a bootable Mac OS X Lion disk. It’s Lion DiskMaker. And as Cult of Mac puts it, it turns making your own installable Lion USB key drive into a one-click affair. The program’s in French, but don’t let that stop you. It’s as easy as downloading the installer, unzipping it, dragging the Lion DiskMaker to your Applications file, plugging in a 4GB or larger USB key or SD card and running the app. As long as your Lion installer is in the Applications folder — which is where it goes by default when you download it under Snow Leopard — Lion DiskMaker will then format your key appropriately and make the key bootable with Lion. Sounds pretty simple, minus the French. Here’s to a English version coming soon. Mac OS Lion: A tracking app now compatible with Lion. The Witness app, available on the Mac as a System Preferences panel, iOS and the web, leverages the Mac’s built-in FaceTime camera (nèe iSight) to send you “mugshots” of whoever is using a locked computer — Witness can also detect motion in front of your screen and send you a push notification as soon as something happens. With a series of updates, the Orbicule developers have updated Witness to fully integrate with OS X Lion and its new authentication window, which in version 1.2 is used instead of the old screensaver method. Now, you can choose to lock your Mac either using Witness’ own lock system, or through the default login screen in Lion. Like we said, it’s good to see more and more apps becoming compatible by the day. And Witness sure seems a pretty important option this day and age (sigh) at a pretty good price: $39. We’re heading to purchase it right now. How ’bout you? Mac OS Lion: Wanna get rid of the Dashboard? 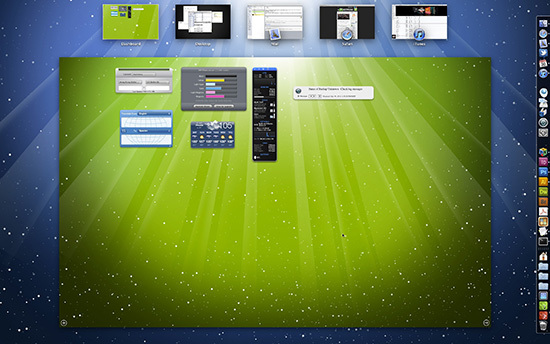 The Dashboard feature in Mac OS X Lion doesn’t bother us a bit. Dare we say, we actually like it. But we’ve heard from more than a few that they simply find it annoying. If you’re in the second group, then this is the post for you: how to get rid of the Dashboard as a space. Just go to System Preferences > Mission Control and deselect “Show Dashboard as a space” and you’re done. There you have. Simply gone. But, seriously, is it that bad? 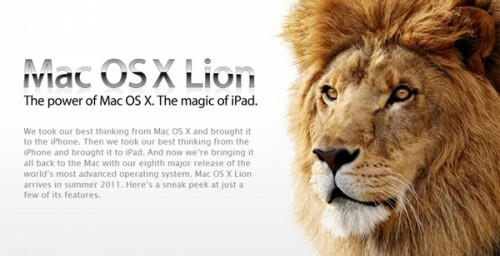 Mac OS Lion: More tips and tricks from around the web. In OS X Lion, application windows open with a new animation that makes a window quickly pop in from the center of the screen, and expand to its default width and height. As John Siracusa noted in his review, however, even this quick animation can have an effect on the user’s perceived nature of the “speed” of the operating system. Whilst the new animation can be “cool” on the first 200 app launches, it can become annoying after a few weeks. To disable Lion’s new window animation, and get back to Snow Leopard’s standard one, type the following command in the Terminal (without quotes): “defaults write NSGlobalDomain NSAutomaticWindowAnimationsEnabled -bool NO” — then press Enter, and restart the Finder or other apps to see it in action. You can revert back at any time by replacing “NO” in the command with “YES”. Same as above, only it applies to window animations in replies from Mail.app. In Lion, hitting CMD+R to reply to an email message will play a new animation with the original message bouncing on screen to become a new window. To disable the animation, type the following command in the Terminal (without quotes): “defaults write com.apple.Mail DisableReplyAnimations -bool YES” — then press Enter, and restart Mail. Note: this won’t disable the sliding animation for reply in full-screen mode. Mission Control is a new feature that blends the best of Exposè and Spaces into a single intuitive UI, but the old keyboard-based options still hold true in Lion: if you want to activate Mission Control with a keyboard shortcut, rather than a gesture, launch System Preferences, navigate to Keyboard -> Keyboard Shortcuts -> Mission Control and manually type in your custom shortcut. You can assign a keyboard to show the desktop, application windows, and even move between spaces. If you find Lion’s default behavior to display accented letters annoying, you can revert back to a more standard setting that will enable key repeating. Type this command in the Terminal: “defaults write -g ApplePressAndHoldEnabled -bool false” and OS X will go back to allowing you to keep a key pressed to type the same character multiple times. This is a simple one: Mission Control is easy to understand, but it can get busy pretty quickly if you have lots of apps open and you don’t use virtual desktops. If you want bigger window previews in Mission Control, you can Quick Look them. Just like Snow Leopard and Exposè, head over an application window, hit the spacebar, and the window preview will come in the foreground letting you see its contents in greater detail. Exposè is now built into Mission Control, and the “Application Windows” part of it has been revamped in Lion to show both all windows and recently opened documents. The easiest way to see the feature in action is assign Application Windows a keyboard shortcut, open some documents in Preview, close those documents, and open another one. If the files are still on your computer, the Application Windows shortcut will show “recent documents” below the open windows, which you can click to open again. With the following Terminal command, the Command +D keyboard shortcut will be reassigned to the system “Don’t Save” action: defaults write NSGlobalDomain NSSavePanelStandardDesktopShortcutOnly -bool YES. Monitor performance displays a graph of network signal strength, noise level, transmit power, and data rate. Record events detects and reports dropped network connections, roaming, and other network events, such as connecting to or disconnecting from a network or network device. Capture raw frames captures all network traffic on the Wi-Fi interface. Turn on Debug Logs provides specific details of every wireless connection. Select what you’d like to investigate, click Continue to continue. When you finish using Wi-Fi Diagnostics, click Report to submit the diagnostic data to Apple for analysis. Mac OS X Hints shares a useful Terminal command to get rid of the Reading List eyeglass icon that’s placed in the bookmarks bar by default. Type this in the Terminal defaults write com.apple.Safari ProxiesInBookmarksBar ‘(“Top Sites”)’ and restart Safari. Optionally, you can drag the Reading List icon in Safari’s toolbar, and revert back at any time with another Terminal command. Quick Look in Lion has a slew of new interesting functionalities that we’ll outline in a separate article this week. Among the new features, Quick Look previews in Spotlight will allow you to quickly take a peek at documents, web pages, or other files stored on your computer. If you hold Command down while previewing a file with Quick Look in Spotlight, the preview popover will add a status bar at the bottom cycling between the file’s path, contents, or file name. As part of the improved Quick Look plugin and Dictionary app, OS X Lion has a new word definition lookup feature that lets you define any word quickly. Select a word, and double-tap with three fingers for the new Dictionary popup to appear. Alternatively, you can configure Dictionary Lookup in System Preferences -> Keyboard -> Keyboard Shortcuts -> Services, and see if the option is enabled in System Preferences -> Trackpad -> Point & Click. Lion comes with iOS-like auto correction — a feature that hasn’t been well received by keyboard aficionados that don’t want to be automatically corrected by the system as they type. To turn off auto correction, open System Preferences, navigate to Language & Text -> Text and uncheck “Correct spelling automatically”. Daniel Jalkut of Red Sweater Software has put together a fantastic AppleScript that will work perfectly with its AppleScript launcher tool, FastScripts. What the script does is simple: it re-enables Safari’s shortcut to show the Downloads window, which used to be Cmd + Option + L on Snow Leopard. In Lion and Safari 5.1 the Downloads window has turned into a popover, but that hasn’t stopped Daniel from writing a script that, once assigned a shortcut with either FastScript or apps like Alfred, will trigger Safari’s popover without clicking on it. You can read more anddownload the script at Daniel Jalkut’s blog. Mac OS Lion: What happened to iSync? Were you one of the few (in Apple’s view apparently) still using iSync on the Mac. Well…not anymore. Not if you upgraded to Apple new operating system—Mac OS X Lion. That’s because, if you did, iSync is gone. Wiped from your system. 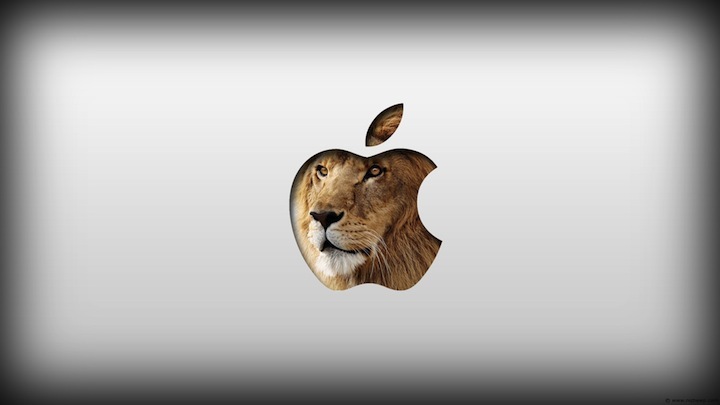 When you installed the new OS, Apple decided to delete Apple software that wasn’t part of the Lion distribution. 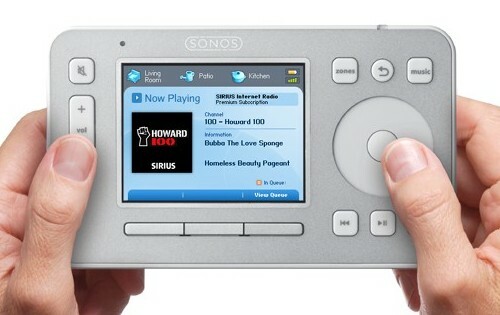 It’s left a lot of hacked off customers who were using iSync with some older phones to sync contacts and calendars. iSync still functions just fine under Lion, but if you didn’t preserve it, Apple reached into your hard drive and obliterated it. It’s not just iSync that has gone to the world of Apple discontinued software. What else is gone, you ask? The story lists another big one. Front Row is also a goner, probably because Apple would love to sell you an Apple TV. Front Row will work under Lion, if you can get a copy via a Time Machine install for example, though it’s a less-than-optimal experience now that iTunes support has been pulled. Apple has posted a download link for a Front Row update, but not the whole app. So what do you think? Is it cool for Apple to go in to your system and pluck the goodies straight from your hard drive? We say, uncool. How ’bout you? 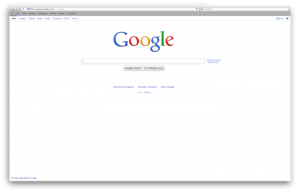 Mac OS X Lion: The best third-party apps with full screen support? So you’ve been using Apple’s new operating system, Mac OS X Lion, and you’re lovin’ the full screen apps—well, at least for the Mac apps that offer full screen support. But what about 3rd-party apps for the Mac that also support full-screen mode when using Mac OS X Lion? Are there any? If so, are any of those apps any good? Most of us likely do a lot of reading on our Macs. Reeder for Macis a great way to make that reading even more of a pleasure. The RSS app ties into your Google Reader account, and syncs read and unread status Google and with Reeder for iOS devices. The Mac version was already a lot like the iPad version when it first came out, and with full-screen support in the latest version, it’s even more so. Grab a coffee, but leave the newspaper on the table; Reeder with full-screen active provides a distraction-free environment for catching up with all the latest. When you need to remotely access your computer, there isn’t always an easy solution, especially when you’re trying to connect from the road. Screens (combined with Screens Connect for hassle-free remote access) is a great way to quickly and easily setup and manage VNC access between Macs. With full-screen support, working on your home computer away from home (or your work computer from home) feels even more like you’re actually working on the target machine, since everything you see is on the remote Mac. I noted this update when it arrived, just ahead of Lion’s release, but it’s worth noting again. 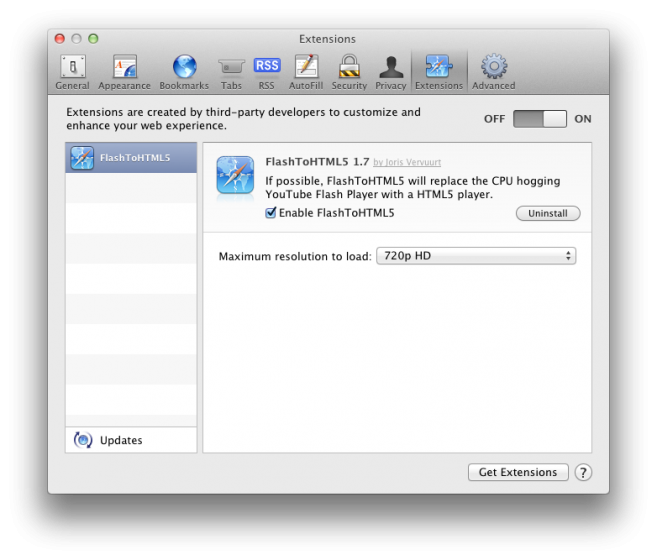 Fluid provides the ability to turn any website into its own, dedicated Mac app by creating a site-specific browser (SSB). Facebook, Google Docs, and Google Plus are all favorite Fluid apps of mine, and full-screen support means I can keep them even more safely contained away from more productive, work-related apps and content. If you’re a regular blogger with multiple sites on the go, you’ve probably heard of the Mac standby MarsEdit. It’s a blogging client that’s compatible with most major blogging services, including Blogger and Tumblr, and it’s a native Mac app. MarsEdit’s latest update allows you to compose and edit posts in full-screen mode, which means you can get down to writing in a much more distraction-free environment. Apple’s new Mail app in Lion remedies a lot of the problems many users had with it, and brings some nice new features as well, but that doesn’t mean it’ll feel right for everyone. Alternatives are always appreciated, and none maybe more so than Sparrow, a nice light native email client originally designed for Gmail. Sparrow now works with most other email services as well, and it has a refreshing simplicity that Apple’s own offering can’t match. Plus, now that it has full-screen support, it provides a great environment for catching up on your correspondence in a really focused way. Our thoughts? Nice list. Nice take. We can’t wait to try out a few ourselves. How ’bout you? Mac OS Lion: Cleaning up the Launchpad. As much as we love the new Launchpad in Apple’s new operating system, Mac OS X Lion, we have to admit, when you first open up launchpad, the desktop is a mess. Apps are everywhere. Especially if you have Adobe CS4 and other third party apps on your computer. Well…have no fear, Launchpad Control is here—the best way (that we’ve seen so far) to unclutter your Launchpad. According to LifeHacker.com, hiding these unwanted, unused, and never-clicked-on apps is quick and easy. Launchpad Control is pretty self-explanatory: if there are some apps you don’t want in Launchpad (like menu bar apps that are always running anyway, or apps you’d never launch on their own), you can hide them by opening up a preference pane and unchecking a box. The app will still be available to you in the Finder if you need it, and you can always add it back to Launchpad if you so desire—it just helps clean things up a bit when you’re trying to browse your Mac apps. 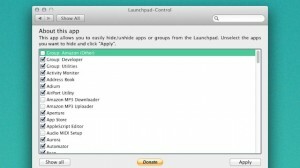 Best of all, Launchpad Control is a free download for Mac OS X Lion. So there you have…something good—Launchpad—just got better. Have you tried Launchpad Control? If so, what do you think?